Please note that Gmail no more offers free phone calls to US and Canada from Pakistan. But still you can make free calls to US and Canada using Magic Jack. Magic Jack app is also available for Android. Now you can talk to your friends and family members in US and Canada for free, Gmail voice and video chat makes it easy to stay in touch with friends and family using your computer’s microphone and speakers. Dialing a phone number works just like a normal phone. 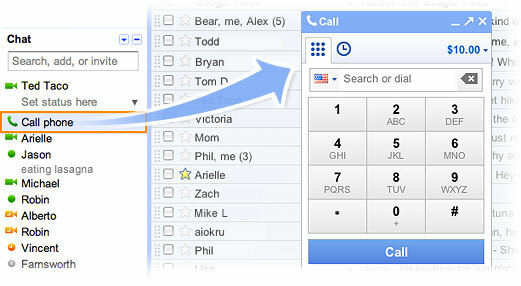 Just click “Call phone” at the top of your chat list and dial a number or enter a contact’s name. Gmail may ask first time users to download a plugin, you just need to download it and that's all. Now you can Enjoy Free Calls to US & Canada from Pakistan! Nice. Pakistani people are lucky to have that. I can't do this from the place where I am right now. Call Canada.